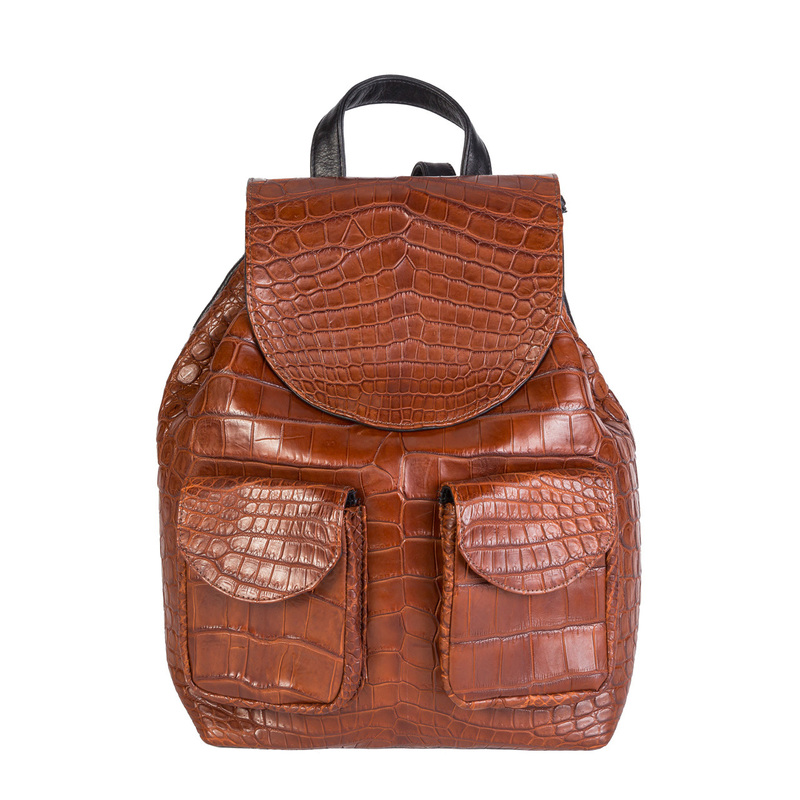 The modernly designed Croc Backpack is made from genuine crocodile leather and handcrafted in Italy by our skilled team of artisans. The backpack features a top handle, magnetic and drawstring closure, along with fully adjustable leather straps. The interior features a gold zipper and the signature Stefano Laviano emblem.